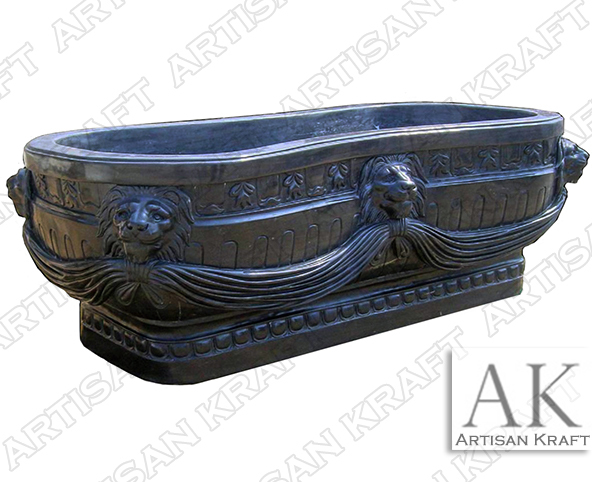 This luxurious Royal Bath lion head pedestal tub is gorgeous in its absolute black marble stone. Tub can be ordered in custom size for a larger design. This is a great setup for a European bathroom. An ornate royal design for your luxury mansion. This is one of the more extraordinary bathtubs that we offer. We also have a freestanding clawfoot tub. There is even one that is made from copper. Visit this link to view more copper tub designs.